In February 2008 we delivered the first website of SALT Restaurant Beijing, so it was an honor to be invited to do the website renewal for SALT around their 4 year anniversary. This time around SALT again wanted something with a lot of images as well as stylish, simple and contemporary reflecting the style of the restaurant. We chose to design the site from scratch and used a WordPress framework to build a child theme upon. 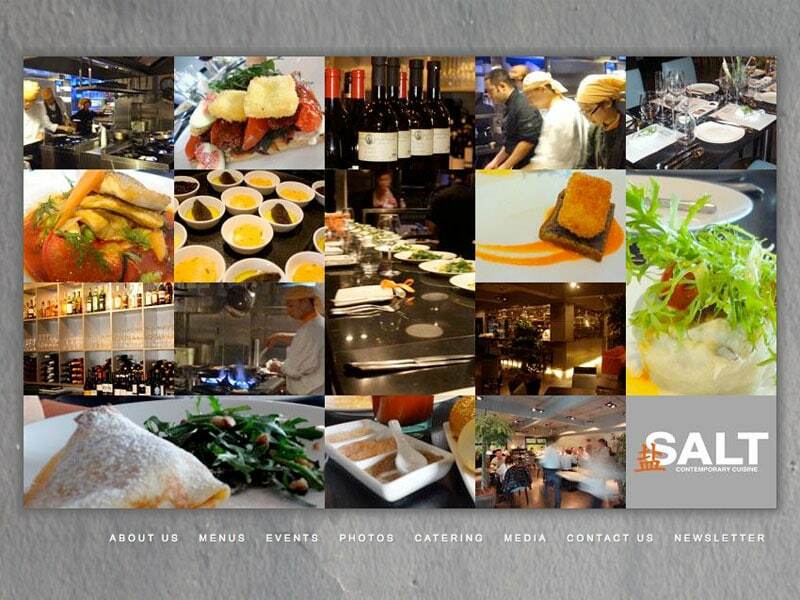 For the homepage we have designed a mosaic that loops through a set of images all saying something about SALT and together form a great first impression of the restaurant. The site navigation in the bottom-right of the website is very different from what is “the norm” on most other websites. Inside the website we had been restricted to use a “one size fits all” window and the only scrolling taking place is within this box, using a custom coded scroll bar instead of the standard blue browser scroll bars. Especially for the different menus, events and contact page staying within the given dimensions of the box has been a challenge that we managed to successfully overcome. 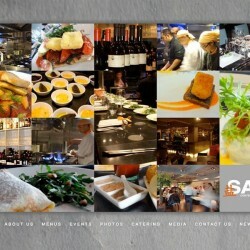 The new website of SALT Restaurant Beijing has been prepared for use in a bilingual environment with the WPML plugin. The site has a professional contact form and signing up for the email newsletter has been integrated too. Although the content of the site didn’t change too much, it has been great to completely redesign and recode the SALT website up to the current standards!